♥Shimmering flat cable chain - available in sizes from 6.25-8.5 inches (chain length including clasp). 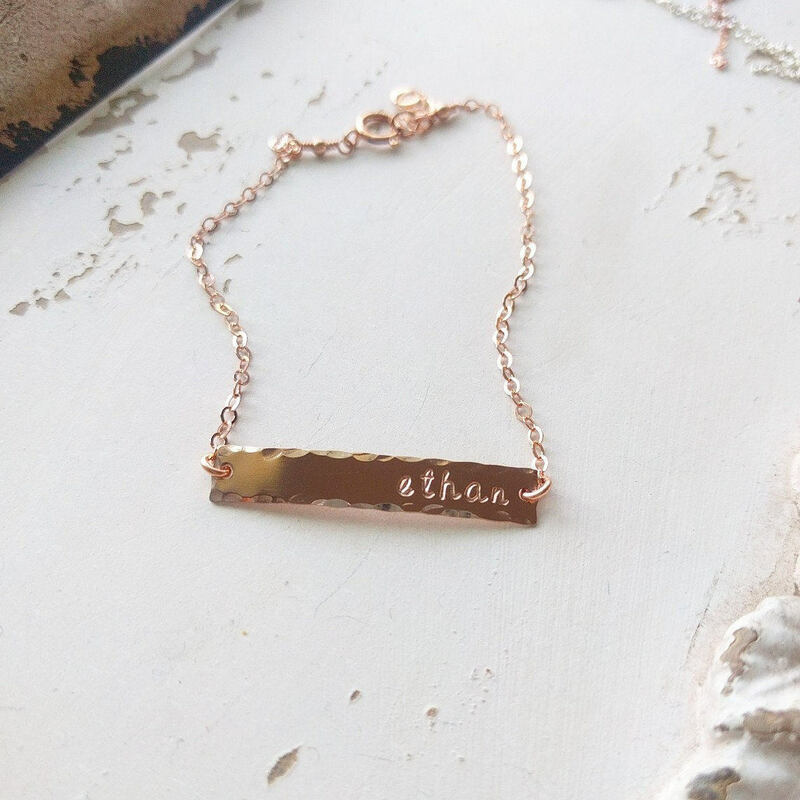 ♥Hand hammered dainty bar pendant (31x5mm) is stamped with the name/date/word of your choosing. This piece can be customized with up to 12 characters (lowercase only, please see last photo for font choices!). Hearts = 2 characters. ★Please note that each letter is stamped by hand, and not with a machine. The letters will NOT be perfectly centered/aligned - this is the beauty of hand stamped pieces, and should not be considered a flaw! ►Please be sure to include your personalization details in the "message to BijouxbyMeg" box in your Etsy shopping cart!!! Please do not hesitate to message with any questions! So in love! Great customer service and super fast shipping! Can’t wait to place my next order!